After being announced at E3 2018 only a few shorts weeks ago, The Awesome Adventures of Captain Spirit has released for absolutely free. While not a direct sequel to Life is Strange, Captain Spirit is the same type of game and is set in the same universe, it has also been marketed as a prequel of sorts to the upcoming Life is Strange 2. Does the newest offering from Dontnod Entertainment hold up to the incredibly high standards set by Life is Strange? For the most part, it does. 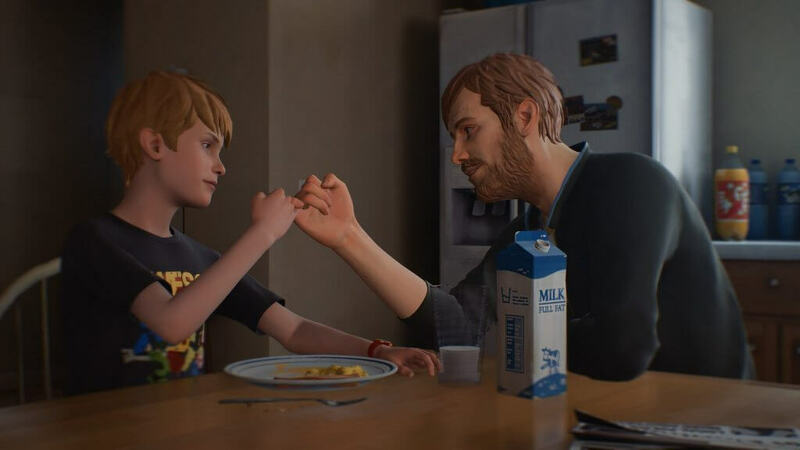 The Awesome Adventures of Captain Spirit centers around a nine-year-old boy named Chris Erikson; Chris lives alone with his father, due to his mother passing away. Grief and the different ways to deal with it is the central theme of this game – Chris deals with grief by having a very active imagination and remembering the good times he had with his mother, while his father has become an alcoholic. As one would imagine, with story elements like these, the game can be very emotional. Captain Spirit is Chris’ superhero alter ego, which seems to be a coping mechanism. Chris does normal little boy things on his Saturday morning/afternoon – he plays with toys, has breakfast, spends time outside, etc. His day is set up by a list of “Awesome Things to Do,” such as putting together his superhero costume, investigating and defeating Captain Spirit’s enemies (a snowman and the water heater he is afraid of, for example), searching for hidden treasure, and more. 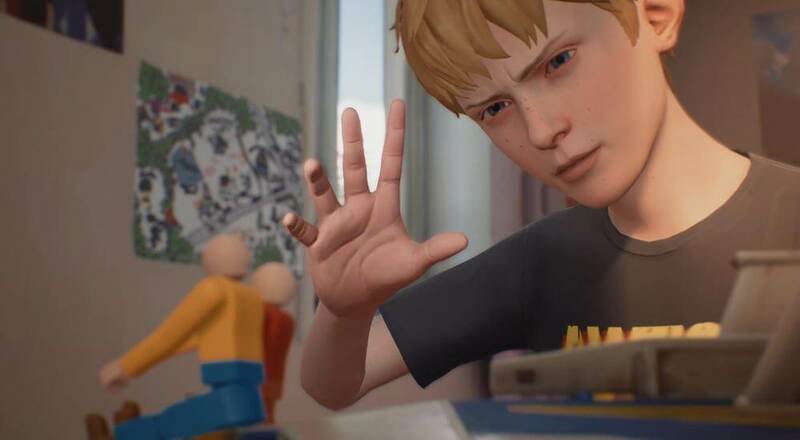 None of these are particularly stressful or contain the deep-thinking and challenging decision making that Life is Strange is known for, but that’s fine; this is a game ultimately about a kid trying to escape real life and enjoy his day off from school, so menial tasks and somewhat unimportant choices fit the bill. We have all been children, so all players can relate to a much simpler time when the hardest decisions we would make was what cartoon we were going to watch on Saturday morning, and that’s precisely how Captain Spirit comes off in tone, most of the time. Despite all of the heavy-hitting story material in The Awesome Adventures of Captain Spirit, it’s a very short experience; it can be completed in its entirety in an hour-and-a-half to two hours. While this may seem short, this title was always meant to be a prequel to Life is Strange 2, something to tide us over while that game is being finished. Don’t let the short completion time fool you, the game is still packed full of moments to leave players satisfied, yet completely emotional. As one would expect, game-play is exactly the same as Life is Strange, albeit without the time manipulation powers. Players explore through Chris’ home, which is small, cluttered and pretty bare, a meaningful way to give extra believability that the boy and his father aren’t exactly in the best frame of mind. Inside the home, there are a few rooms to explore and each room is littered with things Chris can look at or interact with: some of these are important to game-play, some are just there to add depth to Chris’ life, and some are more poignant. For example, you can view Chris’ father’s old basketball trophies and photos, giving the player a bit more insight into why he may be especially bitter. Another great example is a perfume bottle that belonged to Mom that Dad still keeps around. It’s in these little details – and the things Chris says about them – that we really feel his story, sorrow, and grief come to life. The Awesome Adventures of Captain Spirit features the same kind of hipster-ish indie tunes in its soundtrack as its predecessor did. Though with a shorter length, these sequences where licensed songs come into play are few and far between. Ambient music also plays a part, but not as much as one would think. When it is there, it is always fitting with the tone of the scene you are watching or playing and is beautifully composed. Voice acting is spot on, with Chris’ young actor naturally being the star of the show. In one especially tense moment, you can feel Chris’ uneasiness and fear, just as you can feel the anger and confusion in another; the same can be said for Dad’s voice acting; when he’s drunk, he sounds drunk, and not like an actor pretending to be drunk. Given how well done Life is Strange was, this excellence was to be expected. Keeping in line with Life is Strange, this game is absolutely beautiful to look at, maybe even more so. Once players make their way outside, they are greeted with a snowy vista and plenty of beautifully rendered trees and ethereal lighting. There are a few other moments where Chris’ imagination takes him to his arch nemesis’ planet, or to the scary world of the Water Eater; these sequences are also amazing to look at, and I found myself stopping and spinning the camera around constantly just to marvel in these unique worlds Dontnod Entertainment has created. The brief time I spent with Chris was nothing short of amazing. I laughed, I cried, and I was made to look forward to Life is Strange 2 more than I already was. Unfortunately, though it was fitting for both the tone of the game and what the game was intended to serve as, I do wish decisions felt more important. Instead of making me choose between two equally tragic consequences, choices are merely dialog options that don’t seem to affect the outcome of the game. With that said, The Awesome Adventures of Captain Spirit is a must-play title for fans of Life is Strange, choose your own adventure style games, or those who remember what it’s like to be a kid. Given that this latest venture into the Life is Strange universe is absolutely free, there’s simply no reason not to give it a shot. Be cautious; this story deals with some heavy stuff, so keep the tissues nearby. Though the game is filled with choices that ultimately don't mean much, The Awesome Adventures of Captain Spirit still has plenty of heart and charm to keep us busy until Life is Strange 2.